TORONTO, May 10, 2017 /CNW/ - Eighty-six Indigenous youth from across Canada will take to the stage for the performance of their lifetime at the Sony Centre for the Performing Arts in Toronto this month on Thursday, May 18, 2017. 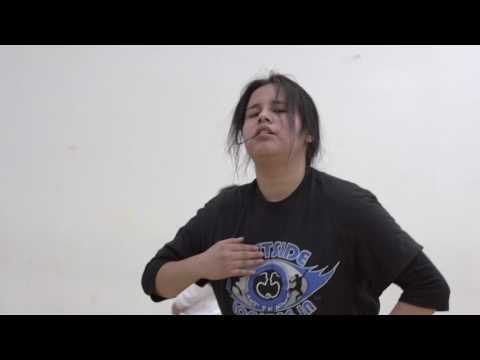 These dancers are participants in Outside Looking In (OLI), a national-based organization that offers a dance program to Canada's Indigenous youth who earn a high school credit for participating. OLI is celebrating its 10th anniversary with its biggest show to date, which will be hosted by Canadian TV personality, Ben Mulroney – Co-Host of CTV's Your Morning and Anchor of Canada's most-watched entertainment program, Etalk. "Outside Looking In was created to inspire Indigenous youth to pursue education, engage in self-expression, and celebrate empowerment. Through the OLI program, our youth learn invaluable life skills such as dedication, discipline and creative expression," says Tracee Smith, Founder and CEO of Outside Looking In. "This year's 10th anniversary showcase will be particularly special with some students performing for the first time, and our alumni returning to take the stage again." Outside Looking In recently received $435,000 from the Indigenous and Northern Affairs New Paths for Education Program to enhance, and include more programming for Indigenous youth across Canada. Founded in 2007 by Tracee Smith, OLI is open to Indigenous youth in grades seven through twelve. OLI hires Canada's top dancers and choreographers to work with the students and teach them the fundamentals of dance. Over the course of six to eight months, students work hard, practising their dance routines, while also building character and learning important life lessons. "Before OLI came, I was skipping school, I wasn't doing my work, I was smoking up. Now that OLI is here, I've become more interested in sports, I've started going for walks and for my mental health, it's helped me stay sane instead of thinking things are going to go bad," says Trenton Linklater, who attends Garden Hill High School in Northern Alberta. "I'm proud of how far I've come on this program." OLI's program is about more than just the year end showcase in Toronto. Students participating in the program who meet the attendance requirements are offered the chance to travel to the Tim Horton's camp in Brantford, ON for two weeks. There, in addition to their daily dance rehearsals, they participate in team-building exercises and learn about self-empowerment. This year, Canadians will have several opportunities to learn about Indigenous culture and enjoy OLI's largest show to date. On May 18th, there will be a free matinee performance for school and youth groups and a ticketed evening performance, including a brand new performance outside the theatre prior to show time. Learn more about Trenton's story here. Tickets to the showcase start at $10.00 and are on sale now at www.olishow.com/Events.